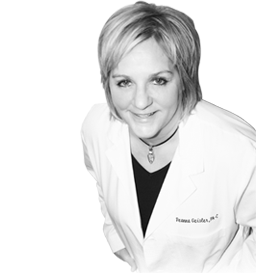 Deanna Geisler is a certified physician’s assistant that has been practicing in dermatology for over 23 years. She graduated from Western Michigan University as a Physician’s Assistant with a Bachelor Degree, and has since been specializing in every aspect of dermatology. Well practiced in every aspect of dermatology, she is an astute diagnostician in skin disorders and is well versed in prescribing specialized treatment plans, including medications and surgical procedures. She is also a renowned cosmetic facial aesthetics specialist, and has a large and diverse patient base that includes celebrities, national on-camera broadcast media talent, and models. She has lectured, published, and has been an instructor on the subject of cosmetic injections. Deanna is a member of the National Commission on Certification of Physician Assistants, the American Academy of Physician Assistants, the Michigan Academy of Physician Assistants, the Society of Dermatology Physician Assistants, and the Michigan Dermatology of Physician Assistants. She regularly attends conferences of the American Academy of Dermatology, and is well read on the latest developments in the area of dermatology.